Everyone would love to maintain their independence throughout their old age, but sadly this can’t always be the case and many older people do need to move into a care home for their own safety and wellbeing. Sometimes the move can be prompted by a major event, such as a serious fall, while other times there may have been a prolonged period of difficulty with relatives helping with day to day care. Read on to discover the important questions to ask when choosing a new care home. Everyone would love to maintain their independence throughout their old age, but sadly this can’t always be the case and many older people do need to move into a care home for their own safety and wellbeing. Sometimes the move can be prompted by a major event, such as a serious fall, while other times there may have been a prolonged period of difficulty with relatives helping with day to day care. However it happens, making the decision to move into a care home is a difficult one especially for people who have been independent their whole adult lives. Once the initial step has been taken though, it’s important to make sure that you find a care home that is suitable. 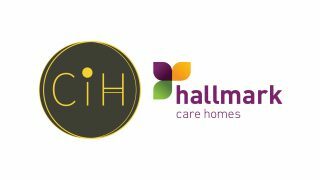 Although the Government and local authorities have guidelines and regulations that care homes have to adhere to, no two care homes are the same and the environment and cultures within them will suit some people more than others. Ultimately you’ll know if a care home is right for you or your loved one, but here are some questions you should ask when choosing a care home. Ask For An Inspection Report. All registered care homes are inspected by the Regulation and Quality Improvement Authority to ensure they meet agreed minimum standards of care. Ask to see the home’s most recent report as this will give you a good indicator of the overall state of the home. Loss of independence is one of the hardest blows to take for someone moving to a care home. The amount of autonomy they are allowed will partly depend on why they need to move into care. If they are suffering from dementia, or have had a stroke or other debilitating problem then obviously their freedoms will be slightly restricted. However all residents should have some ability to make decisions about their life in the home, if they are able to. Does The Home Allow Personalisation Of Rooms? The loss of a true home can have a devastating impact on the elderly. Ask if the home allows rooms to be personalised. Can they bring furniture and ornaments? Can rooms be rearranged or even redecorated, such as having more shelves installed. Obviously you can’t expect a home to allow extensive remodelling every time a new resident comes in, but allowing some modification of the space will help your loved one settle in and is important. What Is The Home’s Safety and Security Like? Does the home have adequate safety precautions in place, such as smoke detectors, personal alarms in rooms, locks on doors and windows etc. Do they have bathing facilities to cope with residents who lack mobility? These are all important issues that directly impact the safety of your relative and their property. Make sure you take time to observe the staff carefully. Do they seem happy (and do the residents respond well to them), or are they rushed off their feet and stressed? The staff will be responsible for the day to day care and so you need to know that they are caring as well as professional. If you can try to talk to staff and other residents to try and get a genuine feel for the environment. What Are The Social Activities On Offer? A care home is not a hospital. Although they will be providing physical and medical care, they also need to provide a rich and varied social programme to benefit their resident’s mental wellbeing. See what kinds of activities are offered. Do they have regular social events in the home, such as coffee mornings and live music? Are there day trips out of the home for those residents who are capable? Your relative could be spending the remainder of their life here so you need to make sure their emotional needs are met as well as their physical.